So, just one day to the 50th anniversary of the first episode of Dad’s Army and one day after the 41st anniversary of the last. It is time to reflect on what the Home Guard was all about – to defend the right of every Englishman (err Scottsman … er Britisher…) to walk into a pub on a hot afternoon and order sixteen shandies mit der ginger beer in a German accent. Yes, it is time to go back to Ring Dem Bells which we featured earlier when Pike and Wilson were merely trying out their new costumes. Now they have got fully into character and, against the direct orders of Captain Mainwaring, have gone to the Six Bells for a quick pint. Now I’m pretty certain that counts as mutiny, though as it’s not clear whose army they are serving they may have a get-out. I’ve no idea how the idea for this episode came together but I wouldn’t be surprised if the idea for this scene wasn’t the germ of an idea that the rest was built around. Jack Haig (who had originally been offered the part of Jones) was perfectly cast as the landlord who finds a group of Nazi storm-troopers in his bar. 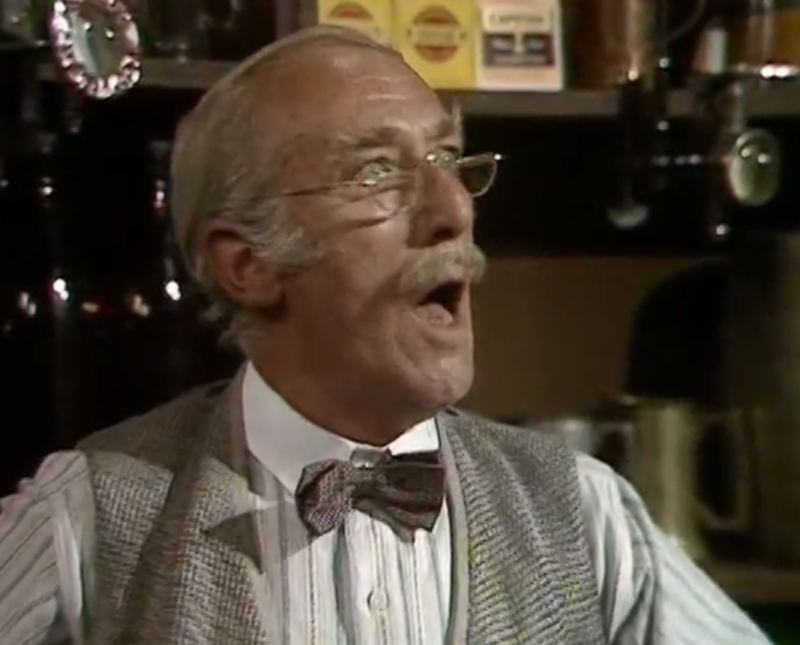 The interplay between him, Pike and Mainwaring is just wonderful. This entry was posted in blog on July 30, 2018 by wolAdmin.